“Despite the dullness of the light, we instantly recognized the boy of Hartwell's ‘Color Sergeant,’” 1907, painting by American artist Ernest L. Blumenschein (1874–1960) as an illustration for Willa Cather’s “The Namesake” in McClure’s Magazine. Image courtesy of the Willa Cather Archive. For most of her life Willa Sibert Cather claimed she was named for William Seibert Boak, her mother’s revered brother who died at Manassas fighting for the Confederacy. She even wrote a poem dedicated to him, “The Namesake: To W.S.B., of the Thirty-Third Virginia,” and included it in her first book, the 1903 poetry collection April Twilights, which she paid to have published. When they found him by his gun. . . . Enough for two who bore the name. In 1907 Cather transformed the dead soldier-uncle of her poem into an inspiration for a story. She had been living in Pittsburgh for the previous ten years and had spent the summer of 1902 in France. And so the story version of “The Namesake” features an American expatriate living in Paris who experiences an artistic epiphany when he returns home to Pennsylvania. Furthermore, Cather changes the allegiance of the “namesake” uncle: identified as a Confederate soldier in the poem (“he got his jacket gray”), he is now a staunch Unionist. Cather eventually regretted her decision to publish her book of poetry, much of it outmoded in style and subject. In 1908 she paid to destroy the remaining copies and in 1923, when she reissued April Twilights, she removed over a dozen selections—including the poem dedicated to W.S.B.—and heavily revised the rest. Similarly, she never reprinted the story version of “The Namesake” after its appearance in the March 1907 issue of McClure’s. 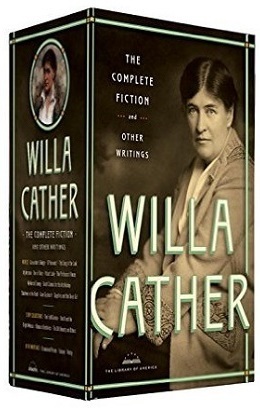 And, finally, in 1920 she jettisoned her middle name altogether and was known simply as Willa Cather—although her stationery retained the middle initial. Thus, for the last three decades of her life, the memory of her beloved Confederate uncle all but disappeared from both her writing and her name. Notes: On page 53 are mentions of the queens of France, referring to the statues of queens and illustrious women that line the terrace in the Luxembourg Gardens, and the Quarter, shorthand for the Latin Quarter, the university section of Paris on the left bank of the Seine. Perroquets (page 54) are parrots. The Destinies (page 62), also known as the Fates, are three goddesses in later Greek mythology who watch over human lives. Gare Saint-Lazare (page 63) is one of the six large railway terminals in Paris. 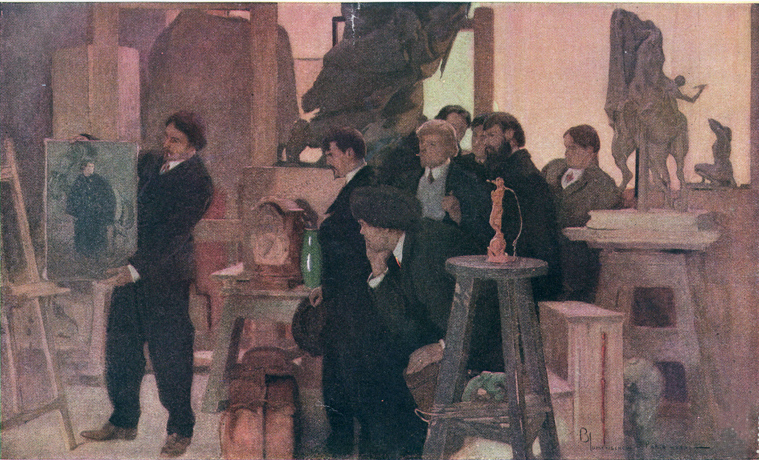 Seven of us, students, sat one evening in Hartwell's studio on the Boulevard St. Michel. . . . If you don't see the full selection below, click here (PDF) or click here (Google Docs) to read it—free!